The WikiLeaks Files – the only comprehensive analysis of the full archive of diplomatic cables released by WikiLeaks – is an essential reference for understanding the contours of American policy. For example, the current war in Syria. The US strategically schemed to cause unrest in Syria against the incumbent Bashar al-Assad government. Faced with the rise of ISIS, which the US was not only aware of but also encouraged, the US slides deeper into a complicated war it helped escalate in the first place, recently involving the once reluctant Turkey and clandestinely including 80 British personnel as well. This cable suggests that the US goal in December 2006 was to undermine the Syrian government by any available means, and that what mattered was whether US action would help destabilize the government, not what other impacts the action might have…In public, the US was opposed to ‘Islamist terrorists’ everywhere; but in private it saw the ‘potential threat to the regime from the increasing presence of transiting Islamist extremists’ as an ‘opportunity’ that the US should take action to try to increase. US ally Turkey joined the supposed war against ISIS in Syria with airstrikes and by allowing US to use its airbase in Icirlik along the Syria-Turkey border. That “Turkey’s intelligence agency helped supply arms to parts of Syria under Islamist rebel control in late 2013 and early 2014” clarifies Turkey’s aims. While appearing to launch attacks on ISIS, Turkey simultaneously targeted PKK (Kurdistan Workers’ Party) in Iraq, the parent-wing of the PYD (Democratic Union Party in Syria) consisting of Syrian Kurds, who have been the main opposition to ISIS on-ground, thereby alienating “America’s most important military ally in the Syrian war.” In fact, Turkey’s airstrikes have disproportionately targeted PKK rather than the ISS. And the US is not innocent here either. US intelligence is used by Turkish warplanes to bomb Kurdish villages where the PKK has a strong presence, killing many civilians in the process. Of the 1032 people arrested by Turkey, 847 are accused of links to the PKK and just 137 to ISIS. Turkey has also refused to give air cover to Syrian Kurdish soldiers fighting against the ISIS. Well aware of this, US remains reluctant to condemn Turkey. US has never shied away from using its allies and enemies to suit its own strategic interests, without paying attention to the consequences of such collaborations, however harmful. By 2014, the sectarian Sunni-Shia character of the civil war in Syria was bemoaned in the United States as an unfortunate development. But in December 2006, the man heading the US embassy in Syria advocated in a cable to the Secretary of State and the White House that the US government collaborate with Saudi Arabia and Egypt to promote sectarian conflict in Syria between Sunni and Shia as a means of destabilizing the Syrian government. At that time, no one in the US government could credibly have claimed innocence of the possible implications of such a policy. This cable was written at the height of the sectarian Sunni-Shia civil war in Iraq, which the US military was unsuccessfully trying to contain. US public disgust with the sectarian civil war in Iraq unleashed by the US invasion had just cost Republicans control of Congress in the November 2006 election. The election result immediately precipitated the resignation of Donald Rumsfeld as secretary of defense. No one working for the US government on foreign policy at the time could have been unaware of the implications of promoting Sunni-Shia sectarianism. And yet the US proceeded to do exactly that in Syria, repeating its horrendous attack on Iraq, which reduced it to a warring, fragmented and unstable country. Verso author Patrick Cockburn writes, “The result is that the US may find it has helped to destabilize Turkey by involving it in the war in both Iraq and Syria, yet without coming much closer to defeating Isis in either country. If so, America will have committed its biggest mistake in the Middle East since it invaded Iraq in 2003." US foreign policy in the Middle East has generally rested on four pillars: Turkey, Egypt, the Persian Gulf monarchies, and Israel. That combination of strategic placement, wealth and military power has successfully kept the region divided and powerless for more than a half century. Interpretations by scholars in The Wikileaks Files on US diplomatic cables related to Syria, read in combination with those on Turkey, Iran and Iraq, are key to understanding US’s strategic involvement in the ongoing war in Syria. 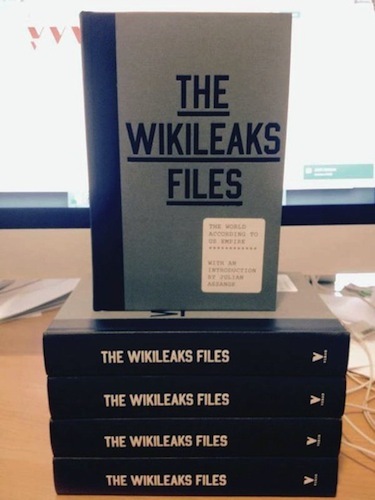 …to randomly pick up isolated diplomatic records that intersect with known entities and disputes, as some daily newspapers have done, is to miss ‘the empire’ for its cables…This book begins to address the need for scholarly analysis of what the millions of documents published by Wikileaks say about international geopolitics. 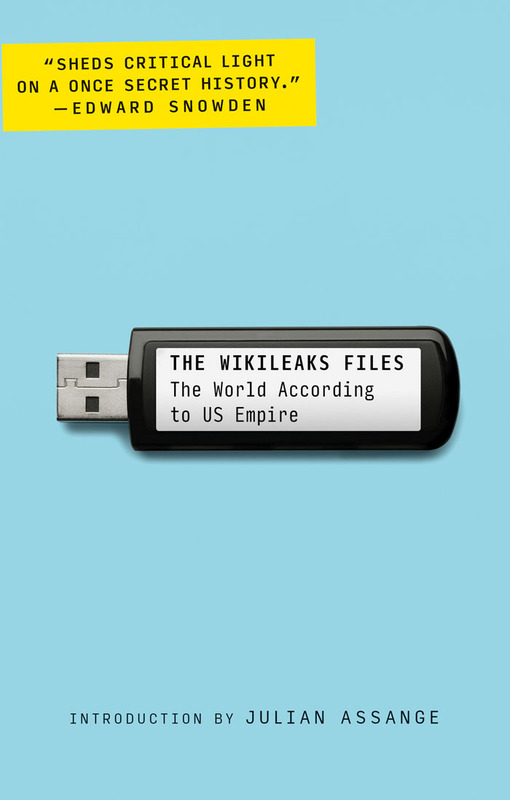 The WikiLeaks Files is a comprehensive analysis of all of the Wikileaks diplomatic cables, assembled by a team of independent foreign policy experts—an essential reference guide to the 21st century’s most explosive diplomatic revelations.